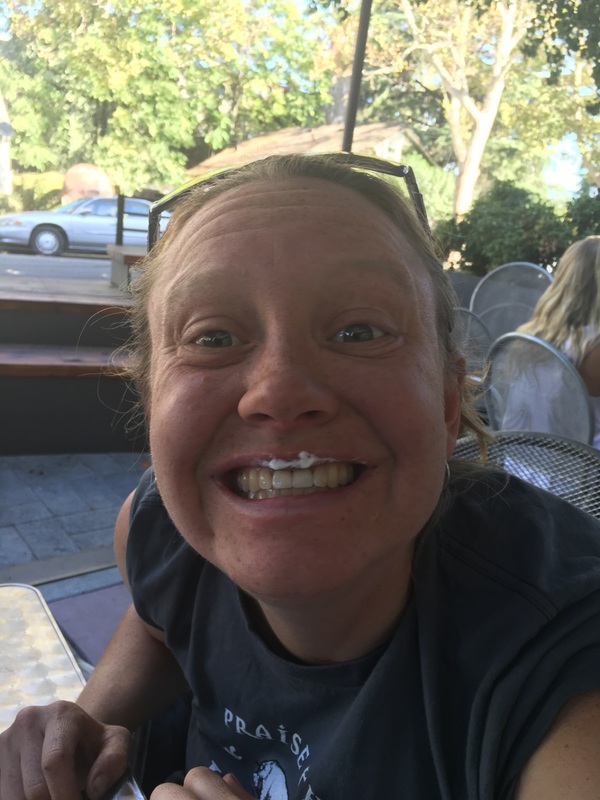 Day 171 – all dots connected – PCT complete! *our total miles is a little short of the 2650.1 due to trail closures, alternate trails taken and potential calculation errors over 6 months. It was a cold night, so cold that Andy’s feet never got warm. Laurie procrastinated getting out of her sleeping bag this morning..again. We ate the remaining bit of granola as the sky lightened. We could make out the shapes in the clouds near the horizon. We can feel the shift in the weather and Andy has been seeing clouds which suggest a low pressure system is coming in. 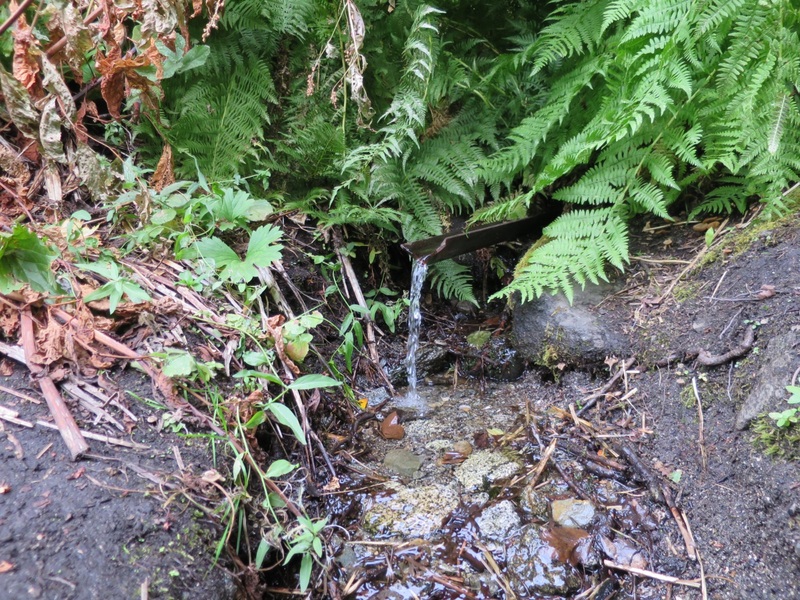 We are glad to be hiking out before the weather turns – it would make for a more sour ending to this long journey if it rained on our last day. Staring at the stars last night we both realized we need more of this in our lives. We made a commitment to attempt to get out more often than we have the last 3 years. Even if car camping for only one night. The fresh air, feeling small in the presence of thousands of stars, the quiet, the absence of distractions – these are the things that feed our souls and keep us grounded. We were walking at 6:25. 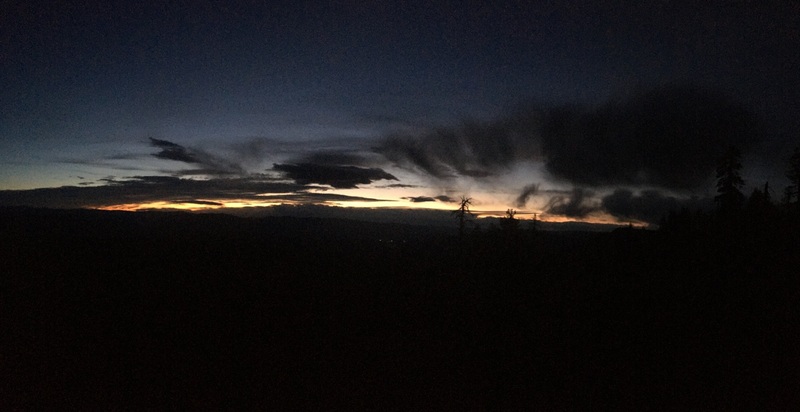 It was starting to get light but we hiked with headlights to start. After 15 minutes or so we turned off our headlights and walked into the cool morning air in silence. Birds started to chirp and we could hear the wind rustling through the tree tops above us. The ground was soft as we hiked up and down small rollers. Around 7:15 we stopped to take off our fleeces and gloves. It was still chilly, Laurie could see Andy’s goosebumps through the hole in his shirt, but we didn’t want to sweat in our fleeces. The gusts of chilling wind continued all morning. At times we had to reach up to grab our hats so they didn’t fly off of our heads. But as we dropped in elevation and into the trees we were more protected and thus warmer. The trail carried us out on a sandy ridge. It was wide and we admired silver boulders amongst the green manzanita bushes. Near Clear Creek we ran into Deven. He was one of a SOBO group of guys that our friend Nikki was hiking with in Washington. We stopped to chat and hear about his hike thus far. It is fun to see how people change, their beards get longer, their eyes a little brighter and their smile deeper. He was excited about the Sierra and mentioned 2 more of his friends were a few hours behind. We ran into one of them – PeaceMan – about 90 minutes later. He was charging up the 3000 foot climb that we were about to go down. We talked with him also, wished him well and continued on. 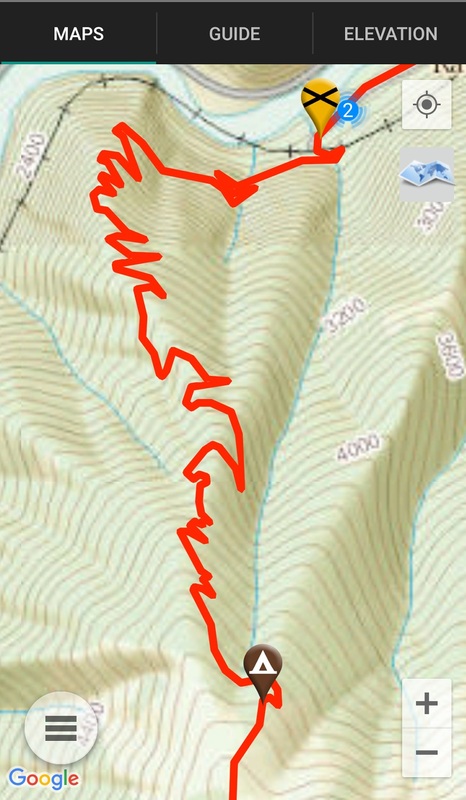 We started the final descent into Belden, steeply at first, then on gradual switchbacks. The trail was sandy and the bushes low. The wind howled until we dropped low enough to be protected by oak trees. As we got closer and closer to Belden Laurie felt herself getting sad. This adventure was actually coming to an end. We were both so used to thinking about the “next backpacking trip” after making it to town that it felt weird there wasn’t going to be another one. Within 1 mile of the equestrian center Laurie saw a dog. It took a moment to realize it was Lacey. Then Laurie saw her godmother Joanna. Laurie called to Lacey who ran up to her. Joanna came walking up moments later holding a PCT blaze glued to a wooden post with our names and finish date written on it. So sweet. We embraced, cried tears of joy and hugged some more. In many ways we did the easy part – the walking. Joanna helped hold down the fort in Oakland and Andy’s parents were diligent about sending our resupply boxes to every stop. This adventure would not have been possible without the support of our families. Thank you so much. We walked the remaining mile together. Once at the trailhead we took a few photos, hugged again and made a beeline for Joanna’s car. It was full of surprises – Thai curry, salad, fruit and best of all a carrot cake. When Laurie was young Joanna made her birthday cakes decorated with the theme of what she was into that year. 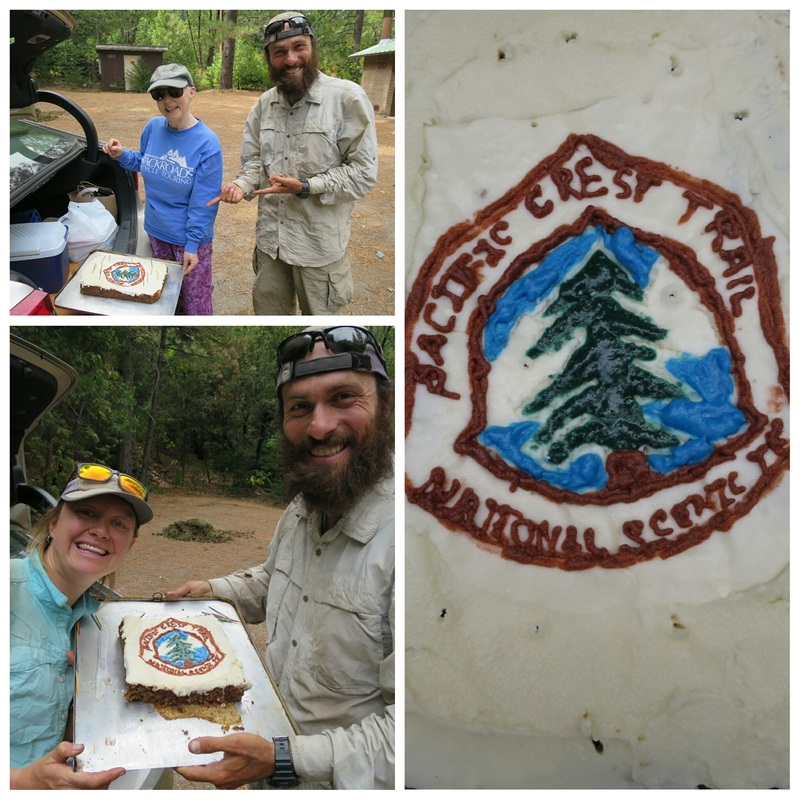 Today, she made a delicious PCT cake. We ate some of the yummy carrot cake with cream cheese frosting then went to the Feather River to clean off. Eventually we found a spot to get in the cold water, but neither of us lasted very long. Once ‘clean’ we threw Andy’s hiking clothes in the trash and drove about an hour to a rest stop. Here we enjoyed a second lunch and a little break to stretch our legs. 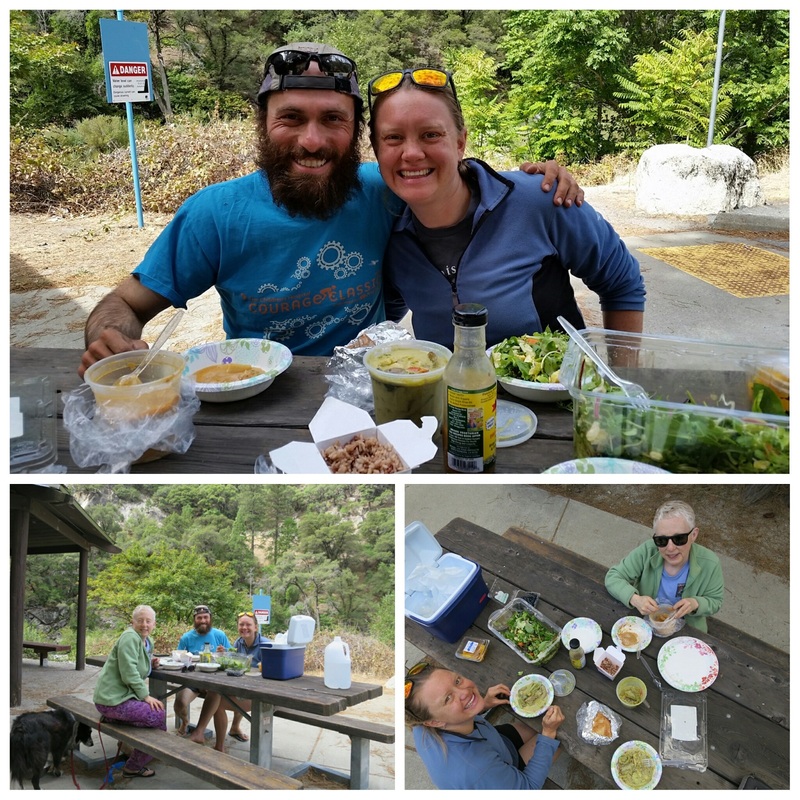 For us, hiker hunger isn’t about eating extra large sandwiches or whole pizzas by ourselves, although sometimes Laurie made comments that she was so hungry she could eat a horse. 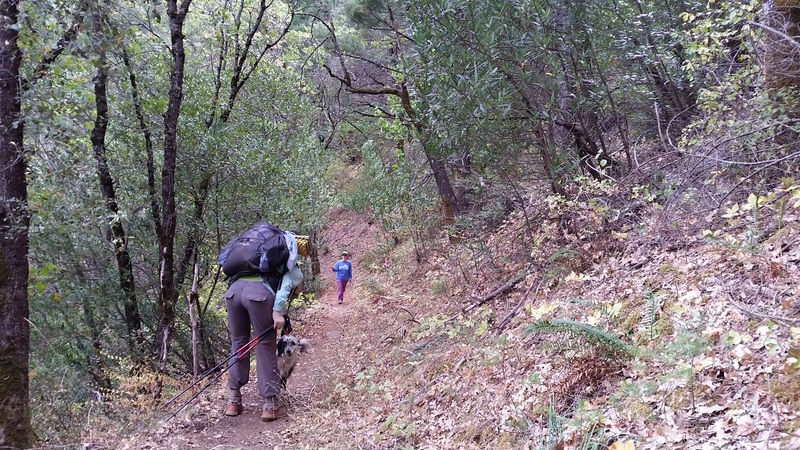 Our hiker hunger manifests as getting hungry an hour after a sizeable meal. So, whenever possible we eat multiple smaller meals. Andy drove the 3.5 hours home. We had been in cars enough times over the past 6 months that driving didn’t seem out of place. Neither did the speed. However Laurie did feel the urge to stick her head out the window to breathe fresh air. 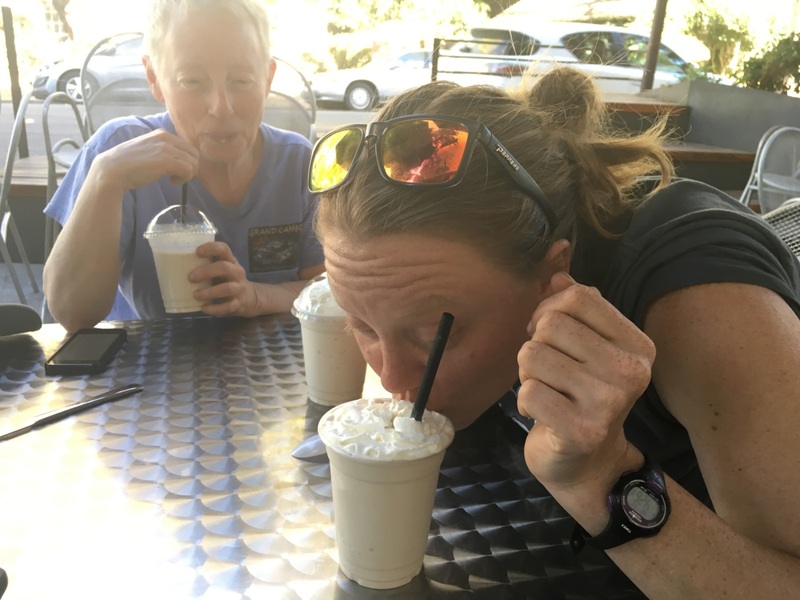 We stopped in Davis for milkshakes and walked around the farmers market. Food and cooking have always been essential parts of our lives – and even more so now – so we picked up a few essentials to compliment what Joanna had generously placed in our refrigerator. We got home around 7pm and Laurie quickly went over to see her mom while Andy showered and relaxed. Our bodies are tired and we look forward to resting. Our new challenge will be to find ways to relax as we move into our new home, go back to work (Laurie) and look for work (Andy). At least we get to do it together and support one another, just like we did on the trail. It’ll be an interesting transition to say the least, but we believe we can create a routine and lifestyle that fulfills us. Tonight we are grateful for you, our blog readers. Thank you for following along on our journey. Your comments and encouragement helped us more than you will ever know. At times, they even helped bring the smiles back to our faces. Shuffles and Dribbles – signing off (for now). Eventually we will post about re-entry, an epilogue, gear reviews, food review, cost breakdown and anything else we think is worth sharing. Please feel free to keep the comments coming and contact us if you want to ask a question privately. What a greeting. And such a cool sign! Thanks for the PCT carrot cake Joanna! I actually have a tear – not sure exactly why. Guess I will miss getting a glimpse into your adventure and wonder how you feel now that it is “over.” Thanks for sharing and best wishes as you get back into so called normal life. Looking forward to hearing a bit about that in your epilogue. Congratulations! What an amazing journey. Thanks for sharing your journey- I don’t know what I’m going to read on the train to work anymore! Thanks for your support and all your comments. We have really appreciated them! Congratulations on completing your journey. I have followed your progress since Campo. I’ll miss looking for your posts when I get up every morning. Hope you enjoy many more adventures together. Congratulations, although you may feel that you ‘just’ walked a long way, your accomplishment is really extraordinary – revel in the memories! Thanks Daniel. We really appreciate your support. Perhaps it still hasn’t ‘hit’ us yet that we did this. WOW CONGRADULATIONS ON YOUR JOURNEY…I started readind around day 90…I have always had a love for the Sierras and outdoors…There was no way I could not follow this journey….Now after read each post and waiting like a little kid for more…I dont know what to write…Its like watching a movie for 3 hours then the lights come on and part 2 will be at a later date. We are glad that you are home safe and sound…Keep the post coming and we are just down the road if you two would ever like to meet up. Thanks so much for everything Tommy and Ali. Thank you for your care package, your comments and all your support. It was tremendous! Congratulations on your big finish. Ive followed along. Alas have never commented. I have quite enjoyed your journey and am in anticipation of being able to do my thru hike next year. If your ever in San Diego look me up and we can rehike the infamous first 20 miles into Lake Morena. We’ll be rootin for ya Bret! If you decide to blog or IG or any social media, let us know the link to your page/site so we can follow along. Andy and Laurie congratulations on finishing. It was a great journey to follow via your blog. I know it took a lot of time and effort to write about your hike and I wanted to thank you for doing it. Your photos were awesome. Thank you so much Dan. We really appreciated your support along the way! Elizabeth, thanks for following along and for being part of the adventure! I, Laurie, would LOVE to see you and catch up. I will let you know next time I come down to LA and please do the same. What an accomplishment!!! I have been silently following your journey since around day 90 and truly appreciate all that you have shared about your experience. I, like many others, can’t wait to hear/see any follow up entries you are willing to post. Congratulations! Thanks Debbie. We are still settling in and it will take a few weeks to publish the last posts but stay tuned!! 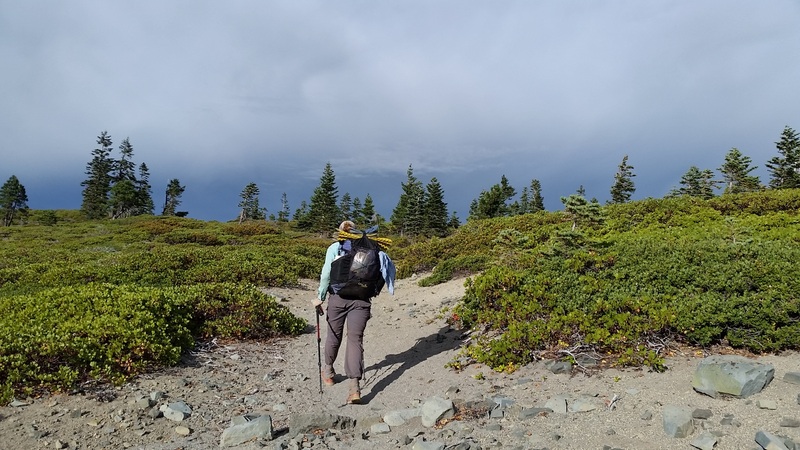 Each year, I follow one couple or solo hiker on their PCT hike. This year I enjoyed following your journey. I only have time for week long trips. I hiked 60 miles from Bridgeport to Mammoth this summer. Mammoth to Bishop next year. Your photos were awesome all summer. Enjoy being home and the upcoming holidays. Congratulations. You two are good people. CONGRATULATIONS SEEMS LIKE SUCH A SMALL WORD FOR WHAT THE TWO OF YOU HAVE EXPERIENCED. I HAVE FOLLOWED YOUR EVERY STEP AND PICTURE AND ENTRY AND YOU HAVE ENHANCED MY LIFE THROUGH YOUR SHARING. RELAX, REFUEL, ADAPT BACK TO THE REAL WORLD AND GET BACK TO US WHEN YOU ARE READY. I KNOW YOU ARE SAFE, YOU HAVE EACH OTHER AND YOU HAVE A BEAUTIFUL LIFE AHEAD OF YOU. THANK YOU SO MUCH FOR ALL OF YOUR SHARING. I READ “WILD” WAY BEFORE OPRAH AND LOVED THE BOOK. FOLLOWING THE TWO OF YOU ADDED TO MY LOVE OF THE PCT. Thanks Becky. We appreciate all of your support and comments. And we are grateful we met you. Hope to bump into you again sometime on the trail!! Congratulations! Thanks again for taking me, and many others, on your adventure. Thanks for coming along on a roller coaster of an adventure! Congratulations on your massive accomplishment! I am so glad to have been able to follow your journey via journal and photos. Thanks for making that effort each day to chronicle what it was like. Thank you so much Nori ☺ We really appreciated your support throughout the hike! Thanks so much for sharing your journey. The photos in this “last” post are so poignant. I’ll miss reading about your adventure. Lois and I will miss reading your posts and looking at the great pictures that you have taken. Congratulations on finishing your long walk, a great achievement. It has been fun to follow. 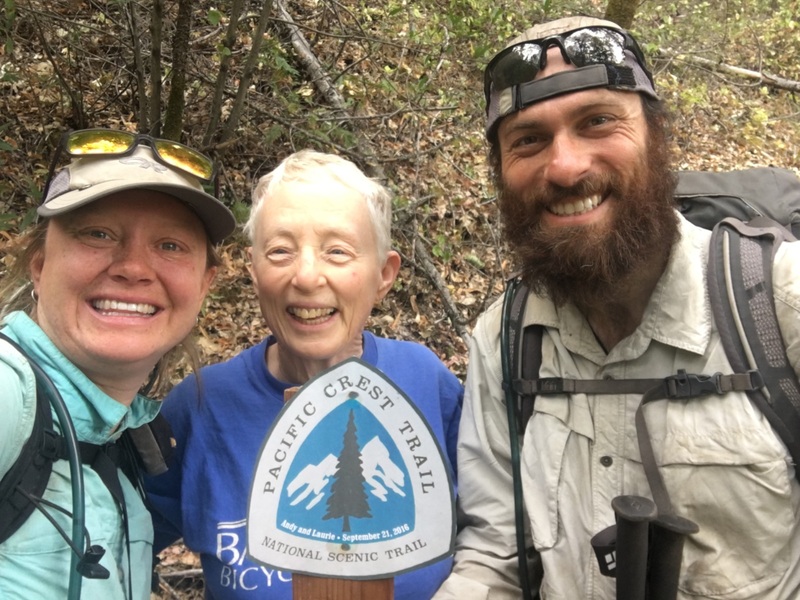 —————————————–From: “Andy & Laurie Hike the PCT” To: Cc: Sent: Sat, 1 Oct 2016 04:51:32 +0000 Subject: [New post] Day 171 – all dots connected – PCT complete! Thanks Paul and Lois! We were grateful to have met you and hiked with you. Hopefully we will get to connect again. 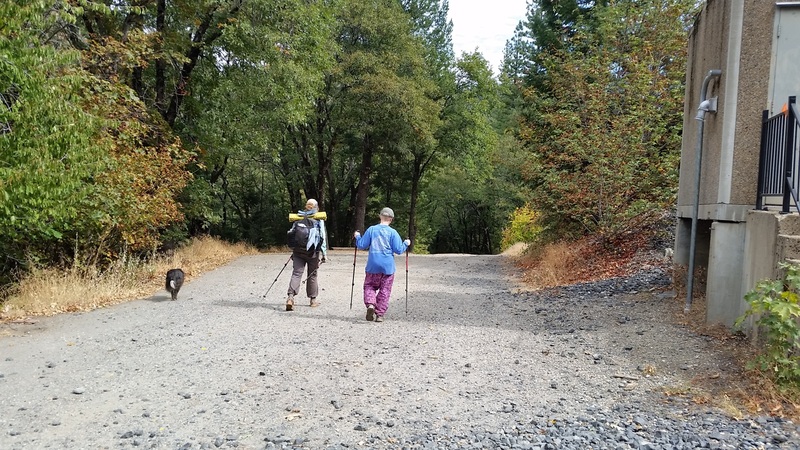 I started following your blog around day 50, at the recommendation of the PCT Association on FB. I am not a backpacker, but I aspire to be one. I have enjoyed “watching” your journey so very much. You write a great story, and the photos are beautiful. Toward the end, I missed you in Tahoe by just a couple days…I imagined running into you and greeting you like friends! I am so inspired and impressed with what you two have accomplished. You have a strong foundation for a great life together. Thank you for sharing your epic summer. Congratulations on completion! I’ve looked forward to your posts all summer. My son lives is Oakland and I’d love to meet-up for coffee (or tea) the next time we visit. We would love that Scott! Please keep us in mind when you visit. Thanks for coming along with us on this wild ride!! You 2 have my most sincere congratulations and respect. I started following your blog in the weeks leading up my 7/17/16 nobo OR attempt. You were approx. 1 week ahead of me so the trail updates were amazingly well timed. We are so glad we were able to help. Congrats you two! 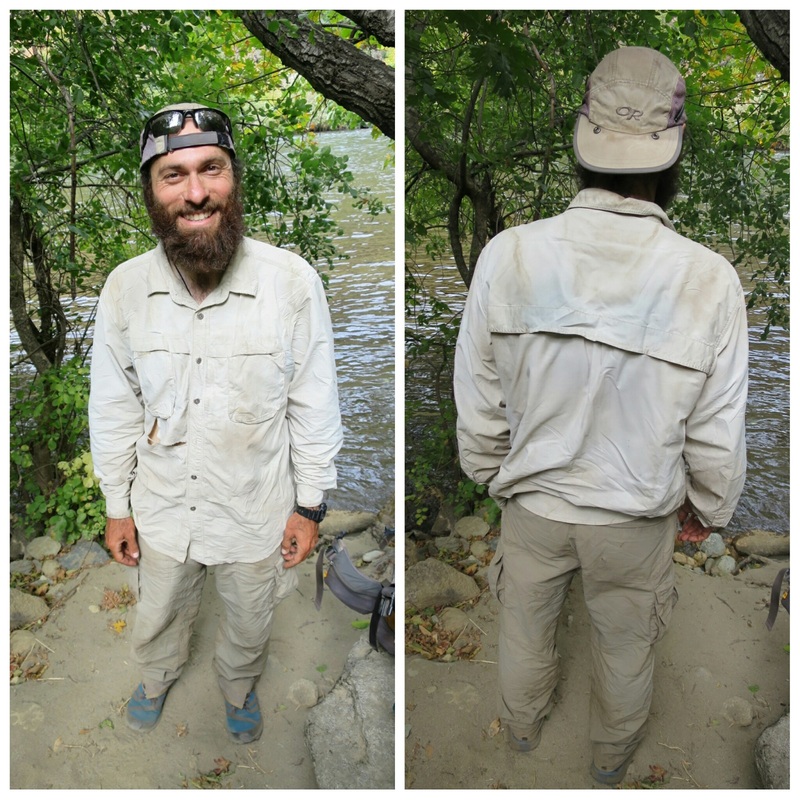 I have been following PCT blogs for 3 years and you are the first people I have seen complete it after flipping up and back down. Amazing! I aim to be on the trail in 2019 or 2020 and your blog has been a great example that I hope to follow. Thanks Philly! We can’t wait to give you a big hug!! Thanks Nana. It was so amazing to share a starry night together. You were one of our best trail angels!! Congratulations Andy and Laurie! Such an amazing accomplishment! I’ve loved following both of you. You’re such an adorable couple….some day you’ll have little feet following! congratulations! Thank you for sharing your experience. Wishing you all the best getting back to your “normal” lives! Thanks. This “normal” business is overrated. We are still searching for ways to make a living living on the trail or somewhere away from traffic, poor air quality and stress! But we will adapt, it all just takes time. Thanks for the best wishes- that helps. Congratulations to you on your wonderful achievement! It has been a real privilege to share your journey through your words and pictures. 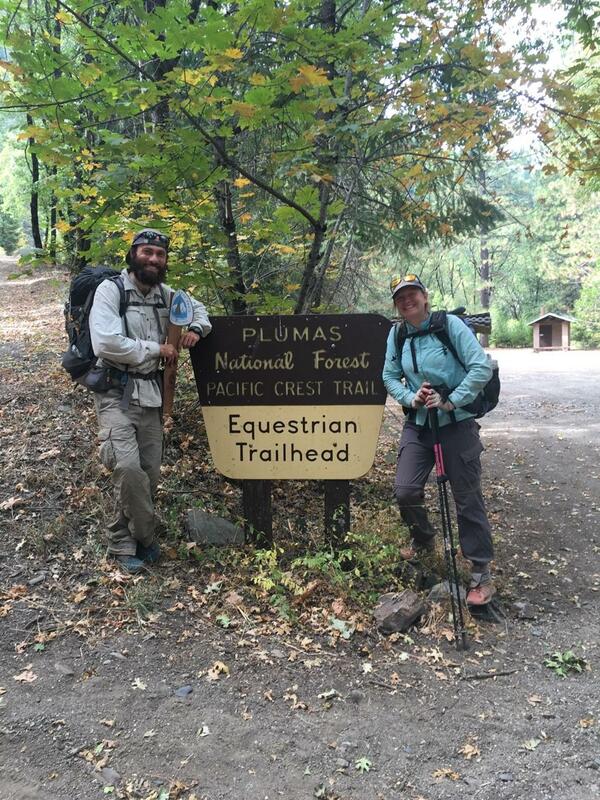 We have been delighted to welcome our own PCT hikers home – Flapjack and Hiccup – and hear their stories first hand. That is wonderful. Congratulations to flapjack and hiccup! First hand stories are always the best! Just got an opportunity to read your last two entries and felt a bit of sadness too . But congratulations you two did it ! I thank you both for being so selfless and letting so many of us follow along . Happy trails always . Thanks Patti. We really appreciate all of your comments and it was wonderful meeting you. Thanks for the apples and oranges on a very dry and fruitless section of trail. Your cache was amazing!! Well done! I have visiting family and had gotten behind in reading. Tonight, with rain falling outside and the first fire of the season, I curled up and enjoyed your satisfactory ending. What a lovely gift Joanna gave you with the pct/post. You gave all of us readers a lovely gift too. Thank you for your faithfulness in writing. Life will get in the way if you let it, but I have a feeling you won’t. Thanks Pearl. Thank you for all the kind words, encouragement and support. You were a dedicated reader and commenter and we really appreciate it!! Andy and Laurie! 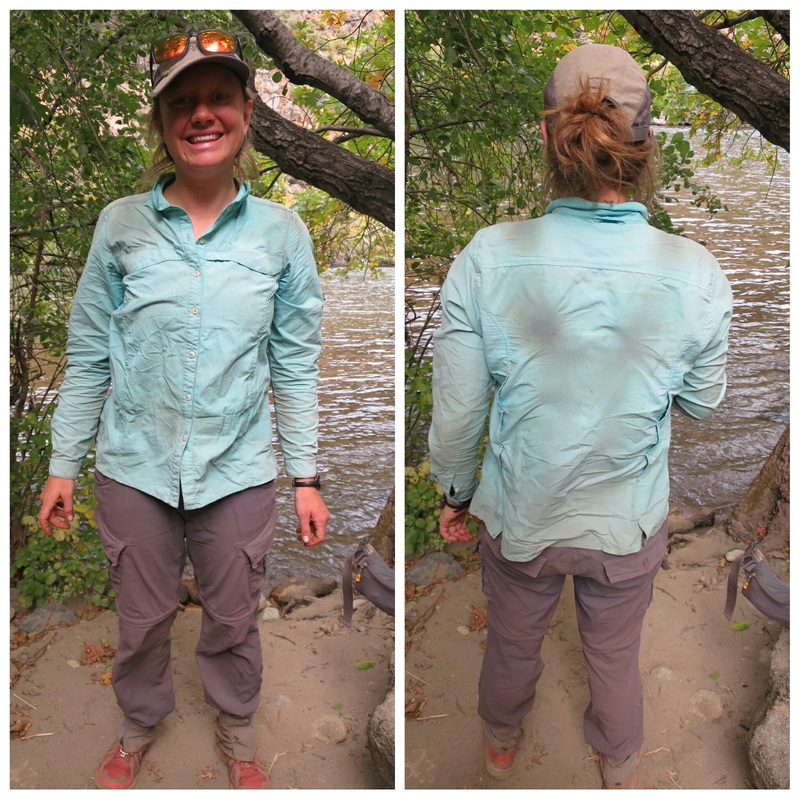 Congratulations – on completing your thru-hike, but also for doing it in such a supportive, enthusiastic, loving style. 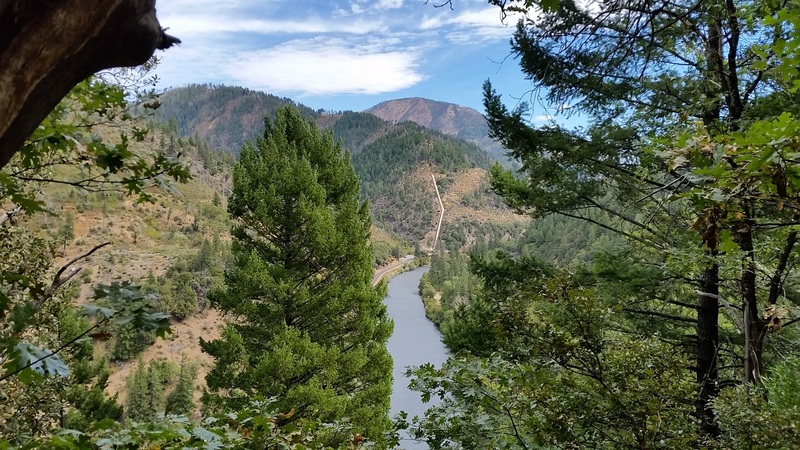 Be sure to look me up if ever in Southern Oregon. And go gentle on yourselves during re-entry. City life can be pretty wild. Wow, the end of the journey that started on that hot, sunny day in Campo. I remember the two of you in your umbrella hats as my son Mike and I passed you (and were passed by you) for a mile or two. I’ve been praying for the two of you over the past few months and I’m very glad to see that you finished strong and in good health. I was especially happy to read the blog on the day that Andy proposed. My son is getting married this Saturday (October 15), so the proposal was especially poignant. I am so very proud of the two of you for persevering through all the tough times. I’m jealous of all of the beautiful things that you have seen and I’m thankful for the memories you re-kindled when you hiked in areas that I hiked in my younger days. Thank you Dave. We remember you and Mike on that first day. I remember being so impressed with Mike’s long stride and I thought it was so cool that you were starting the journey together. 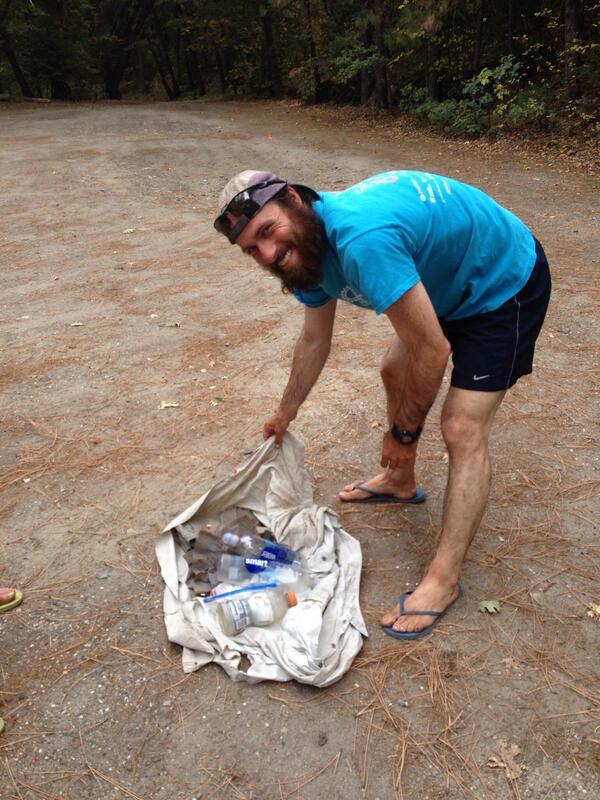 Please pass on our congratulations to Mike and thanks for sticking through the literal up and downs of the PCT with us!! Thanks Georgia!! I hope we get to catch up someday and share some stories in person. Thanks for following along on our great adventure! Thank you for letting us live vicariously through your adventure with your wonderful posts! And congratulations on finishing. Amazing! I know it wasn’t all fun and games but all the times I sat in LA traffic the thought of knowing that there are still miles and miles of beautiful untouched quietness made my commute quieter as well. I wish you both the best as you return to rat race, but may the memories of the untouched beauty of the last six months be in the forefront of your day and bring you a peace and calm to carry on until your next hike. Having said that, do you have any desire to do the Appalachian Trail?? Thanks Trisha. We really appreciate your support! We don’t have a desire to hike the AT. We would like to hike the Colorado Trail though..